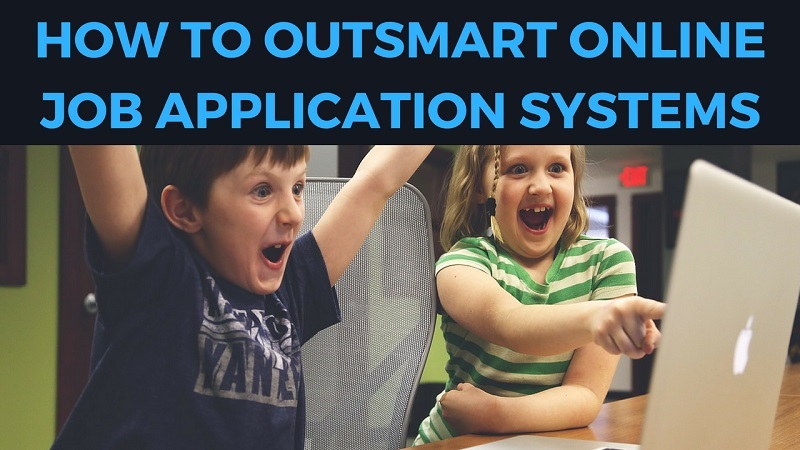 I received an email last week from a Boston University Graduate, Amanda Wilks, with a really great idea of a topic to cover: How to outsmart online job application systems. So you’re at your laptop browsing job sites and you find a job that’s really appealing. Not necessarily for the pay or because they’re close to where you live, but because they sound like a serious company that goes the extra mile for their customers and employees. The more you read, the more you like them and wish you were a part of their team. And then you reach the “Apply for this job” button with “957 Applicants” proudly written beneath. Oh, and now it’s 962. Not that looks matter, but it helps employers and recruiters know you better. It humanizes you, from a bunch of qualifications to a daring person that looks straight at the camera and smiles discreetly. Not to mention that, for most job application systems, this will add a splash of color that is bound to attract the attention of the person who is looking through the bulk of applicants. Do not, under any circumstances, use your standard resume for a job that you really want. You might not believe it, but recruiters have an eye for these things. Research the company and the job you’re applying for and use the information to give your resume a little boost. Talk about your hobbies or interests and give your application a personal touch too, but don’t overdo it. If you aren’t sure how to tailor your resume for a job, this article will walk you through it step by step. Although not specifically looked for in an application, online certifications are a tell for a few very desired qualities: you like to improve yourself, you are interested in adjacent areas of your activity domain – which might even make you passionate about it, and you are eager to learn about things you don’t specifically have to. There are plenty of one-day or less free courses on the web, so go on and find a few that seem to peak your interest. The amount of employers that use “Ctrl + F” to quickly go through hundreds of applications is the reason why using keywords should be your top priority. “Master of Business Administration” looks much better than MBA, but the shorter version is what employers are looking for. It might seem too formal or outdated, but a cover letter can make the difference, especially if it’s well-written. Just as with the resume, you should personalize each letter and include specific information that will let them know you wrote it specifically for that job. That should be more than enough to get you through even the toughest online job application systems and land you the interview. However, the interview is critical, so make sure you’re ready. Here are a few tips to help. First, don’t panic, don’t fret about it and get plenty of sleep the night before. If you are prone to stressing out, think about what makes you who you are and what you appreciate about yourself. This can actually be a good chance to think about the most difficult question employers like to torment their interviewers with – what’s your greatest weakness? You might think there’s no right answer to this and they practically already rejected you if asked that, but it’s actually not at all true. Don’t try to memorize full answers to questions they might ask. Instead, write down a few pieces of information that you are keen on mentioning and try to fit them in as the interview progresses. This will make your answers appear spontaneous. Also, prepare a stunning elevator pitch to catch their attention right off the bat. Working hard has long been replaced by working smart: optimization, automatization, simplification, or intuition are used on a daily basis to facilitate working conditions. So why not applying smartly for jobs, too? After all, this is what most companies want: an employee that knows how to get around and distinguish them self; a problem solver that shows up at the right time with the right skills and initiative. And that can easily be you. Amanda Wilks is a Boston University graduate and a Contributing Editor at Job Application Center. She has an interest in all things related to job-seeking and career-building advice and loves helping people reach their true potential.